Bucking House stood in a large field called Yarn Barton to the west of today's Horsey Lane, that section from the catchpool to the future Railway Hotel, seen in the maps below. The term 'bucking' derives from the Middle English bouker. Buck was a lye or liquor in which cloth was steeped in order to bleach it and a back-basket was a washing basket. Bucking, therefore, was the process of steeping and washing cloth in lye. 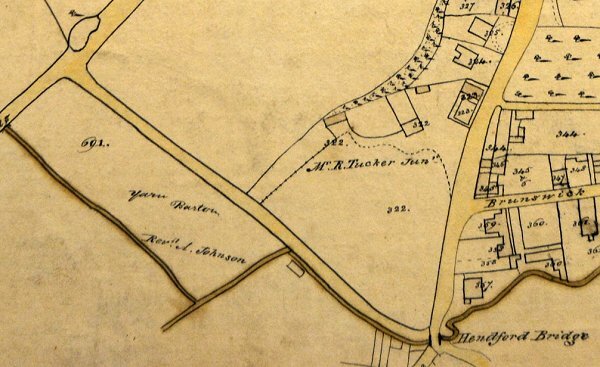 The field in which it stood was called Yarn Barton (shown as Pookmoor on the 1842 Tithe Map) and had for generations been used for growing flax. E Watts' map of 1831 shows that Yarn Barton was owned by the Reverend A Johnson. In the 1840s the three sons of Robert Cayme (of the sail cloth, dowlas and ticking manufacturing family) were listed as owners of property in Pookmoor, Yeovil, where Thomas Horsey was tenant. The 1846 Tithe Allocation showed that Robert Cayme was the owner of the Bucking House, described as "House garden, owner Robert Cayme, occupier Thomas Horsey". The Bucking House was demolished in the 1850s or 1860s as the site became the goods yard of Hendford Terminus, Yeovil's first railway station. 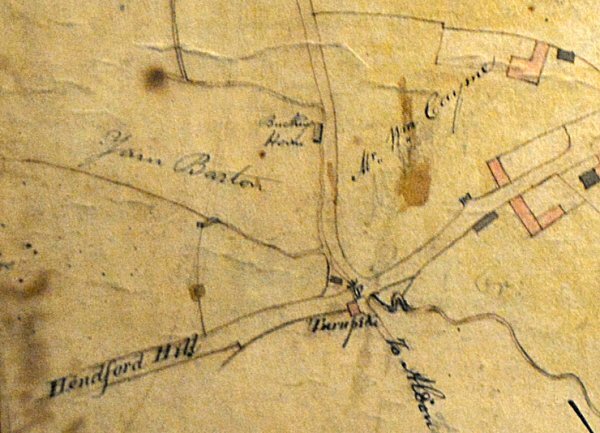 E Watts' map of 1806 showing the junction of Hendford Hill, Hendford and today's Horsey Lane running off to top centre (the map is orientated such that north lies towards top right). The Bucking House is seen half-way along Horsey Lane, in the field called Yarn Barton. E Watts' map of 1831 showing today's Horsey Lane running from the catchpool in today's West Hendford at top left down to Hendford Bridge at bottom right. The Bucking House is shown as is Yarn Barton, at this time owned by the Reverend A Johnson. 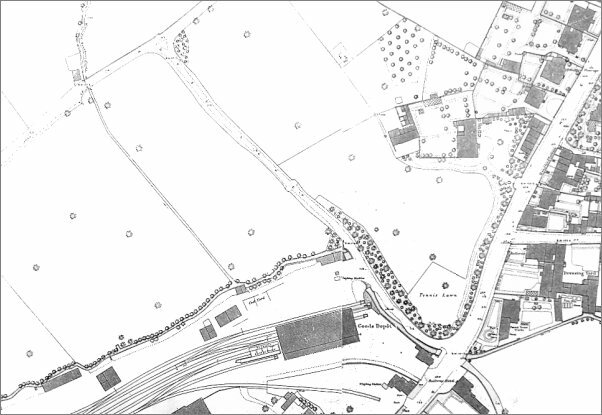 The 1886 Ordnance Survey showing today's Horsey Lane running diagonally across the centre, with West Hendford (formerly also Horsey Lane) at top left and Hendford at right. Originally the whole of today's West Hendford and Horsey Lane was called Horsey Lane. The Bucking House was demolished in the 1850s or 1860s as the site became the goods yard of Hendford Terminus, Yeovil's first railway station.